Ladyfriends, listen up. In some countries, men are sent to prison if they don't hold the door for a lady. Sadly, those countries don't exist. Light cucumber scent. 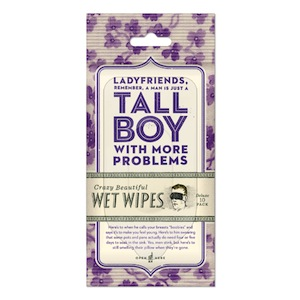 Contains 10 wipes. 4.7" x 7.9".